Beijing, China, March 28, 2019. 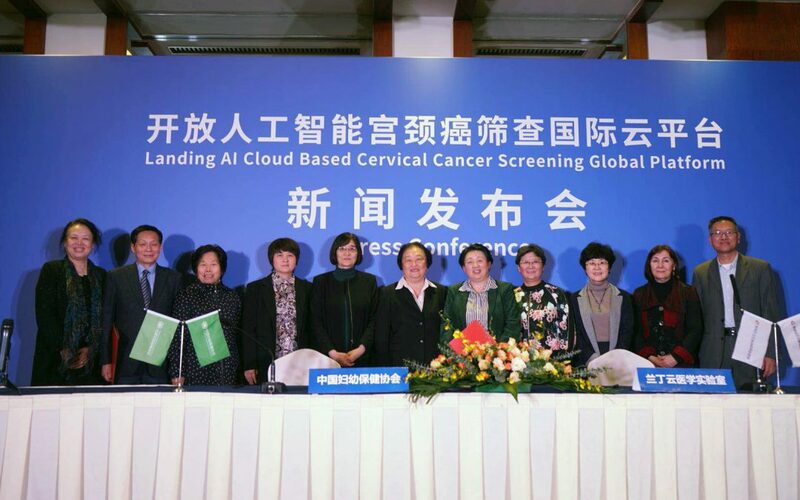 China Maternal and Child Health Care Association and Wuhan University Landing AI Cytology Diagnostic Center launched Landing Med’s Cervical Cancer Screening AI Cloud Diagnostic Platform. As of March 28, 2019, this innovative platform can be accessed from all over the world. Women, especially those from countries supported by the Belt Road Initiative, will be able to benefit from high-quality, low-cost cervical cancer screening services provided by the Chinese artificial intelligence cloud diagnostic platform. Wuhan University Landing AI Research Center teamed up with multi-disciplinary experts who, after 17 years of development, established a unique system that uses artificial intelligence cytopathological software and Landing Med’s hardware. Landing scanning platform is connected to the Landing cloud platform (Cyto brain). Gererated reports can be sent directly to smartphones or could be remotely reviewed by cytologists before issuing to the patient.